Wetlands such as lakes, rivers, swamps, salty lakes and man-made lakes have numerous values for balancing the environment and ecosystem at large. Some of the swamps contain water all year while others dry up in winter season. The rift valley regions, the south western part of Ethiopia around the Elu ababora areas and parts in the northern east of the country are categorized as wet land places. There are also wetlands and water bodies in the dry land of the Somali and Afar regions. Afwork Hailu is the Director of the Ethio Wetland and Natural Resource association which is engaged mainly in the protection of wetlands and the environment and works with the cooperation of various government and non-governmental organizations. Currently the association has several sites at the country level. According to Afework, wet land areas have numerous economic and environmental values. Most productive lands which are rich in soil moisture are found in these areas. In dry season they serve as fodder provider to cattle. The areas are also the source of fuel, wood and grass which are used for traditional house construction in rural parts of the country. There are also medicinal plants and these all help women in the area drive their income by tapping the resources and overcoming problems that arise in time of drought. In addition, the areas have immense potential in attracting tourists. Tena Alem Ayalew is a researcher on wetlands in the Forum for Environment Ethiopia and has a long experience in environmental protection. According to him, wet lands play a crucial role in balancing the ecosystem and have a capacity to arrest rain water from changing into floods which averts soil erosion and land degradation. They also defend urban centers, development sites and farms from destruction caused by the over flowing of water deltas. In addition they protect rivers from pollution and make them clean, creating a conducive situation to the surrounding people to get suitable water used for household purposes and feeding water to rivers. However, because of various reasons they are now threatened by human activities and natural phenomena. 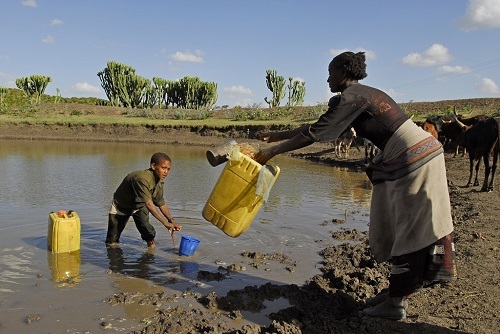 According to Tena Alem, in the last half century a number of wetlands in Ethiopia have been used unwisely by local communities, as a result of which many of them are endangered and a few are on the verge of extinction. Therefore, adequately protecting wetlands and utilizing them sustainably is an urgent matter. In the past, wetlands were managed by local communities based on their indigenous knowledge but in recent years everything has changed dramatically. Needless to say, the effect of natural factors such as hydro-meteorology sedimentation and seismic processes are major contributors of the wetland degradation. But upto now it is difficult to quantify because there is no monitoring mechanism. As mentioned above, the effect of the anthropogenic factor also puts pressure on the wetlands. According to Afwork, wetlands, as part of lakes and sea, source of marine life and the abundant availability of different types of fishes, can support the struggle for food security. But because of natural and human activities the amount of water in the lakes is declining. In some parts of the country, water bodies have already dried up. Lake Haromaya in the eastern Harergehe zone can be mentioned as a case in point. In the surrounding areas farmers used to take water from Lake Haromaya through 250 pumps for watering farms, more than the amount of water inflow to the lake by natural phenomena, as result of which the unbalanced usage of water dried up the water. The clearance of vegetation cover in the nearby areas also aggravates soil erosion, the flourishing of industrial farms in the rift valley lakes regions also threatening the ecosystem. It is clear that as a developing country struggling to eradicate poverty Ethiopia needs much investment for the development of modern farming and industries but before giving a green light to the implementation of projects, impact assessment work should be carried out by pertinent institutions as without such procedure doing things arbitrarily never meets development objectives. According to Afework his association with the cooperation of the commission of Environment, Forest and Climate Change and non-governmental organizations forwarded proposal to the Federal Parliament for the formulation of draft law with regard to the utilization of wetlands, the law will hopefully be ratified. Currently several institutions have a stake in wetlands. CEFCC, Ministry of Agriculture and Natural Resources, Ministry of Water, Electric and Energy and Investment Authority have a stake but perceive the wetland resource by their own perspectives, hence ratifying the law which can be utilized commonly by all stakeholders is essential for the sustainable usage of wetlands. 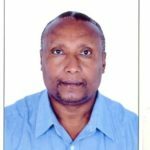 Dr Habtemariam Abate is working in the Ethiopian Agricultural Transformation Agency as Adviser of Geographic Implementation Support. Regarding the status of wetlands in Ethiopia, he explained that wetlands can serve as a lung because they produce a huge amount of oxygen both for human beings and animals in addition, playing a crucial role in sequestrating carbon dioxide by their sediment organs from the atmosphere more than the forests do. However, because of the unplanned expansion of urban centers coupled with the flourishing of lodges, hotels and recreational places in the suburbs of lakes, these threaten marine lives. He further pointed out that, the Hawassa referral hospital found in Hawassa town currently drains its liquid waste directly to the lake which indicates how water bodies are contaminated. He also said that in the western Wollega area of the country wetlands have changed into farm lands by drying up the water and in order to reduce the destruction of lakes and wetlands, pertinent officials from federal up to the woreda level should show their concern to reverse the situation. In summary, wetlands have numerous values in balancing the ecosystem, however due to unwise utilization of the resources they are at the verge of their extinction, so to improve the situation relevant measures should be taken as soon as possible. Abebe Wolde Giorgis was born in Harar, Ethiopia. He has a B.A from Addis Ababa University in English Language and Literature, Minor History. For 17 years he has been a Journalist in local and International Media, Amharic and also an English Newspaper.He wrote several articles on environment and economics. Member of Environment journalist association, he was deputy editor in chief of an Amharic Newspaper and Senior Editor of the Ethiopian Herald.